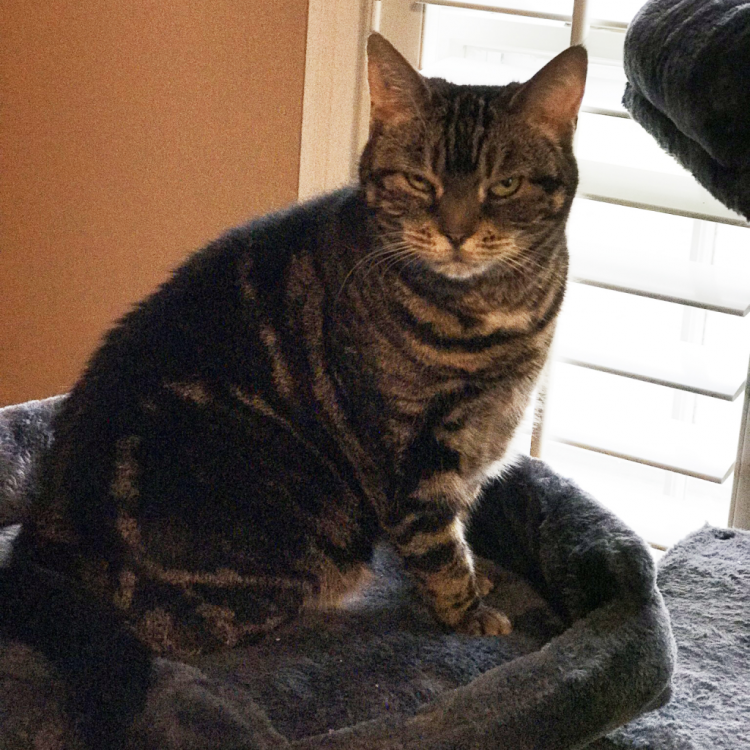 Meet Jackie-O, a tabby as sweet and stylish as can be! This little celebrity is SUPER affectionate -- she loves to be petted, brushed, and fawned over by her fans. She's a total lap cat and socialite. She's not shy at all and is very adaptable, able to warm up to new faces practically within the hour. She's not excessively vocal, but boy is she a purr-machine if there ever was one! 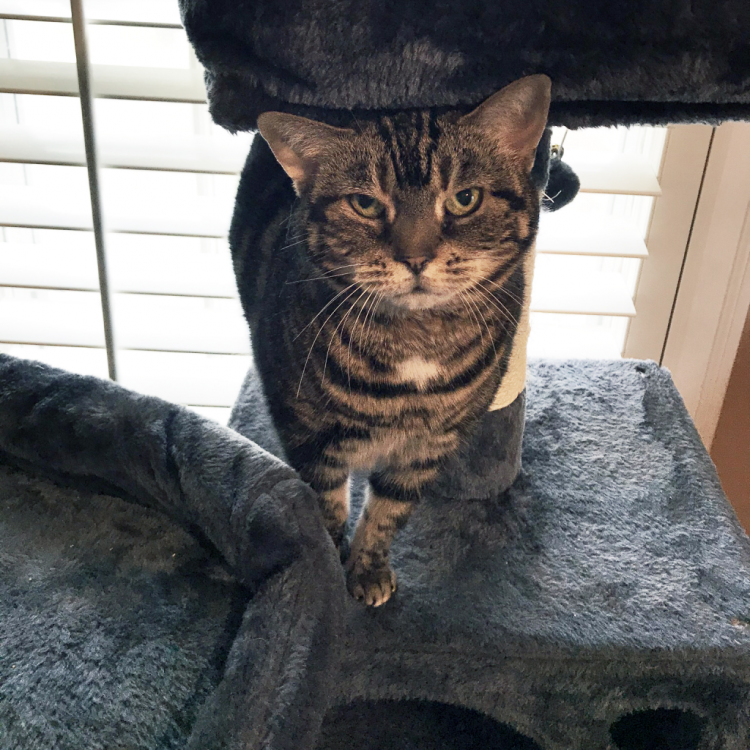 Jackie loves to perch on her cat tree and watch her foster siblings go about their business below. She sleeps and even eats up there (although this may be in part due to the fact that her playmate Jane tends to claim the bed for herself). An astute hunter of feathers and sparkly things, Jackie's strategy is to chase them, or rather watch them move, and then pounce. 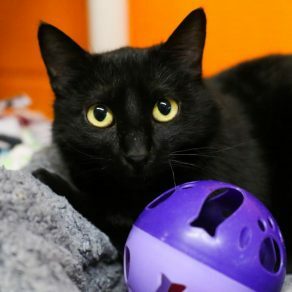 Jackie does very well with other cats and would preferably be adopted with her best friend, Jane, who came to APA! with Jackie as a shelter cat from Texas A&M. She may go through a brief hissing phase upon introduction to new felines, but in short time she will prove to be a great companion. Jackie is great with kids, too -- even smaller ones! However, she tends to avoid dogs, and while she isn't hostile towards them she would prefer to live with cats instead. 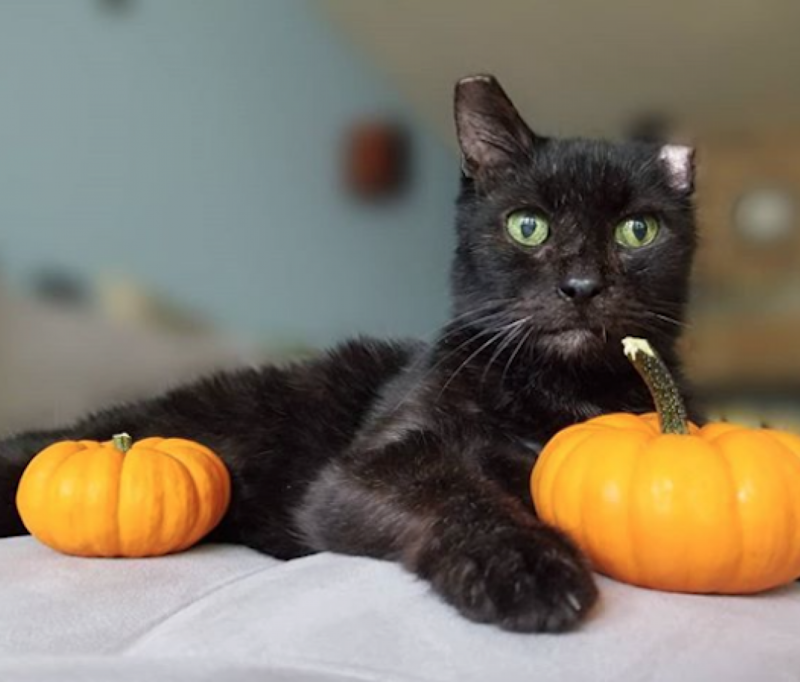 Being a senior cat, Jackie can't wait to settle down in a loving forever home! For further information or to meet Jackie-O, please email [email protected]. I saw Jackie-O (https://www.austinpetsalive.org/adopt/cats/apa-a-57177) on the Austin Pets Alive! website and would like to request more information.